During a family trip to China, eleven-year-old Mia Chen and her older brother Jake follow clues and solve riddles in hopes of finding their missing Aunt Lin and, perhaps, a legendary treasure. Learn all about the traditions of Lunar New Year—also known as Chinese New Year—with this fourth board book in the Celebrate the World series, which highlights special occasions and holidays across the globe. After the winter solstice each year, it’s time for a celebration with many names: Chinese New Year, Spring Festival, and Lunar New Year! With beautiful artwork by Chinese illustrator Alina Chau, this festive board book teaches readers that Lunar New Year invites us to spend time with family and friends, to light lanterns, and set off fireworks, dance with dragons, and to live the new year in harmony and happiness. Here is a book babies can really sink their gums into. 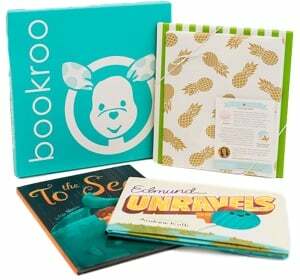 Built for the way babies read, Indestructibles are printed on an amazing paperlike material that can’t be ripped, torn, or punctured. Indestructibles are 100 percent safe and nontoxic, and if they get too funky, just throw them in the washing machine or dishwasher. They’re made for baby to hold, grab, chew, pull, and bend, and are designed to create an even more special bond between reader and baby. Printed without words, the parent gets to make up the story, or just cuddle with baby while they explore together. Humpty Dumpty introduces the work of Jonas Sickler, a children’s illustrator whose paintings, full of detail and personality, have a fresh, whimsical sensibility, a pleasure for both baby and parents. The book gives a new spin on a traditional nursery rhyme, so parents can really have fun with the subject—Humpty Dumpty is about an egg named Humpty who’s perched on the Great Wall of China. The text for the nursery rhyme is printed on the back cover. A Chinese American family sits down to enjoy a traditional dim sum meal. Dumplings, cakes, buns, and tarts are wheeled out in little dishes on trolleys, and each family member gets to choose a favorite treat! Lin’s bold and gloriously patterned artwork is a feast for the eyes. Her story is simple and tailor-made for reading aloud to young children, and she includes an informative author’s note for parents, teachers, and children who want to learn more about the origins and practice of dim sum.